They always say “The show must go on!” That statement certainly is true this week, with even more severe weather expected across the south. It is unclear what the main threat will be for all days of this system, but strong storms are expected. For Monday & Tuesday, no severe thunderstorms are forecasted anywhere in the US. However, the Storm Prediction Center has given an area in the south under an Enhanced Risk for Wednesday, which could be upgraded to a Moderate risk later down the line. 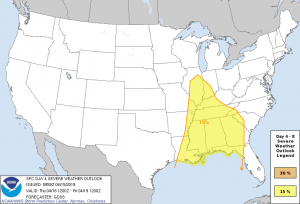 For Thursday and Friday, a risk category is unable to be given due to SPC Rules, however, a 15% chance has been placed, which means there is a 15% chance of severe thunderstorms within 50 miles. 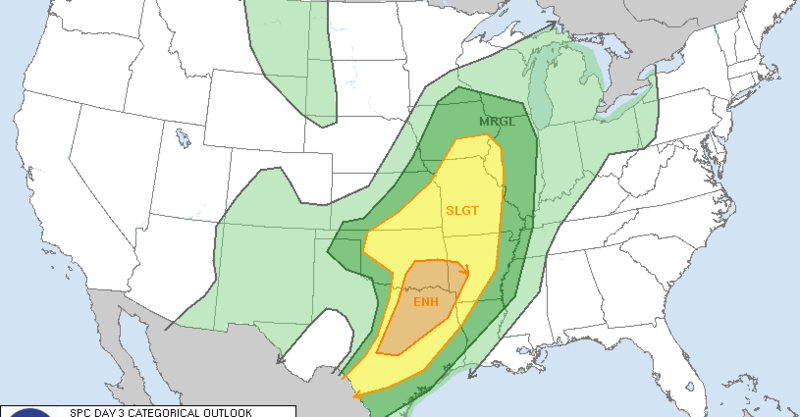 Thursday’s risk area covers an area from the Gulf of Mexico to cities in the northern part of the US, like Indianapolis, Chicago, and St. Louis. Friday’s is mainly going to be along the east coast, including a majority of Florida, South and North Carolina, and Virginia. Some of Georgia is also included. 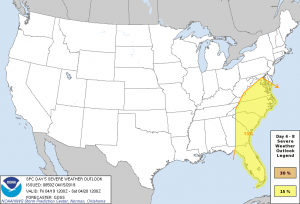 The main threat with Friday is likely to be damaging winds. It is too early to tell which areas will and won’t get severe storms on Thursday and Friday. The uncertainty is quite large. After Friday, more severe weather appears likely across the central US. With the severe weather season continuing to ramp up leading into May, stay tuned to Force Thirteen US for updates and livestreams.